wikipedia hat geschrieben: Die Universitas Istropolitana (seit dem 16. Jahrhundert oft fälschlicherweise als Academia Istropolitana bezeichnet) in Pressburg (heute Bratislava) war die erste Universität, die auf dem Gebiet der heutigen Slowakei gegründet wurde. Als heutige Nachfolgeeinrichtung gilt die Comenius-Universität Bratislava. Das Wort Istropolitana ist von Istropolis („Donaustadt“) abgeleitet, der gräzisierenden Bezeichnung für Bratislava. Zur Jahreszahl kann noch ergänzt werden, dass Wikipedia zwar von einer Gründung der Universität im Jahr 1465 schreibt, aber erst im Jahr 1467 ein Gebäude zur Verfügung stand. Nachdem der wohlhabende, ehemalige Bürgermeister von Bratislava Stefan Gmaitl 1467 gestorben war, sind seine Besitzungen an den König Matthias Corvinus gefallen, welcher sie wiederum der neu gegründeten Universität überlassen hat. Somit feiern wir 2017 den 550. Jahrestag der Beheimatung der Universität in Bratislava. Zuletzt geändert von euromunter am 23. April 2016 10:44, insgesamt 1-mal geändert. In December 2015 Národná banka Slovenska announced a public competition for the design of the national side of a €2 commemorative coin marking the 550th anniversary of the opening of Universitas Istropolitana, the first university in the territory of present-day Slovakia. The idea to establish a university in the Hungarian Kingdom came from its king Matthias Corvinus. At his request, the university was approved by Pope Paul II in 1465 and opened two years later, in 1467. A total of 26 designs by 13 designers were entered in the competition. In February 2016 they were evaluated anonymously by the Committee for the Assessment of Commemorative and Collector Coin Designs. The Committee was assisted in this task by expert advisors: Dr Miriam Hlavačková, PhD, from the Institute of History of the Slovak Academy of Sciences and doc. Vincent Múcska, PhD, Vice-Rector of Comenius University in Bratislava. A design by Mária Poldaufová was awarded first prize, and at the Committee’s recommendation, the NBS Bank Board approved her design for the coin. The Committee commended the artistry and content of the design, which, in its view, fully reflects the activities of the university and links it with the place of its establishment. The central motif is composed of the seated figures of a teacher and two students. 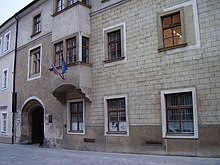 In the background, a representative part of the historical building of the university in Bratislava is shown in silhouette, and in the upper left part of the coin is a small medallion of Matthias Corvinus, the founder of the university. Second prize was awarded to Pavol Károly. The Committee appreciated the way he captured the theme and also the high quality of modelling. The composition involves three sculpted elements – the historical seal of the City of Bratislava, the university building and the coin’s lettering. Third prize went to Michal Gavula. His design is dominated by a seated figure of the founder, Matthias Corvinus, in the foreground with the historical building of the university behind him. An additional prize was awarded to Karol Ličko in recognition of the high quality of his design. NBS hat geschrieben: Coin card mit der 2€ Gedenk-Münze "Universität Istropolitana-550. Jahrestag des Anfangs der Tätigkeit".